Panis – In An Aston Martin? Olivier Panis comments in Ouest-France that "The long distance races interest me, that's right, but not for only one race" - writes David Legangneux. "For 2007 I have several contacts: in the DTM with Audi, but also with Aston Martin. And to drive an Aston in FIA GT, in several Le Mans Series races and of course in the 24 hours of Le Mans would obviously be great." Before any GT career gets going, Olivier Panis will complete his last test ever in Formula 1 on December 13, with Toyota, then will race in the Andros Trophy, driving a Toyota Auris. 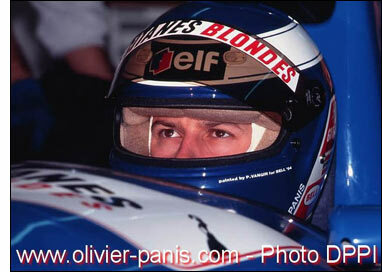 His team mate will be Alain Prost. Any suggestions that Panis will race a Peugeot at Le Mans seem to be in the past now.